The most important tip is your mindset. Your mindset will be the biggest factor in winning the fight. Also having good technique is important. I said in the video that you can do this technique if you practice only 2 minutes a day. To clarify that better, that’s 2 minutes a day, 7 days a week. In fact practicing cycling punching daily will greatly increase your speed and speed is key in overwhelming your opponent. Take Action: Practice cycle punching 2 minutes a day, 7 days a week starting today. Don’t cheat cycle as fast as you can for 2 minutes straight. This is such an effective strategy because your opponent doesn’t see it coming. Why don’t they see it coming? It goes back to your mindset. If you are truly innocent in the situation your opponent won’t expect you to fight back like that. You will take the person off guard and that puts them at a disadvantage. More and more people are buying martial arts online. It was only several years ago that most people wouldn’t even think twice about joining an online kung fu school. Those people didn’t think they could actually learn a fighting art without having to physically going to a local school. The problem though is often times the only martial art schools you may find in your area or Karate schools, Taekwondo, Krav Maga, MMA gyms, etc…. Finding a good Kung Fu school can be near impossible in some parts of the country and the world. Because this has been true now for many years people have turned to buying books or DVDs to learn Kung Fu on their own. While these are good ways to further increase your knowledge, they aren’t the best of ways to actually learn a fighting art. Because you can’t ask books and DVD’s questions, it makes it hard to get corrections and help when you are confused. 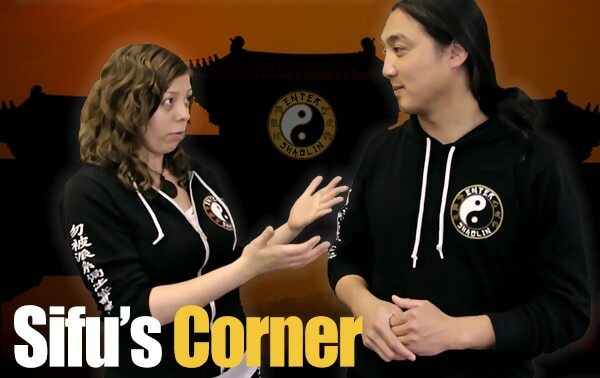 The good news now you can learn how to defend yourself by training with an online Kung Fu school. 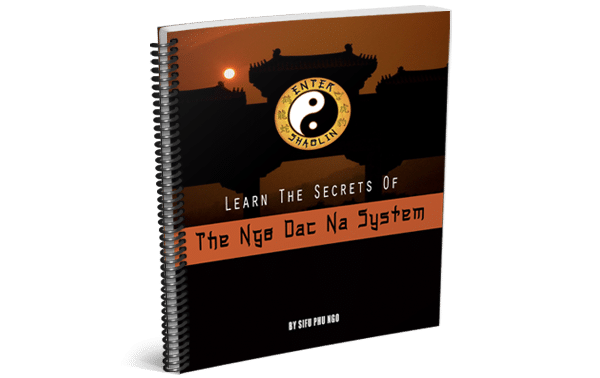 Many people have awoken to the idea that you really can learn Kung Fu online from the comfort of your home and on your time schedule. What that means is more and more virtual training halls are popping up all over the world. So, how do you know which one is a good one? When most schools will tell you what they do is the best, how are you supposed to sift through the garbage and find the gold? The reality is there isn’t one martial art that is right for everyone. But it’s not what you think. It’s not the art that isn’t right, rather it’s the instructor(s). Our vision was to not just create a membership, rather we wanted to create a virtual community of like minded people, a family. Having the ability to ask questions under each lesson. Scheduling private lessons online and offline with skilled instructors. Access to a huge training library with new lessons being added regularly. Access to webinars and seminars where you can ask questions and get more help. Many times people create a martial art product to sell online but really their business model is a offline model and they are just trying to make extra money. 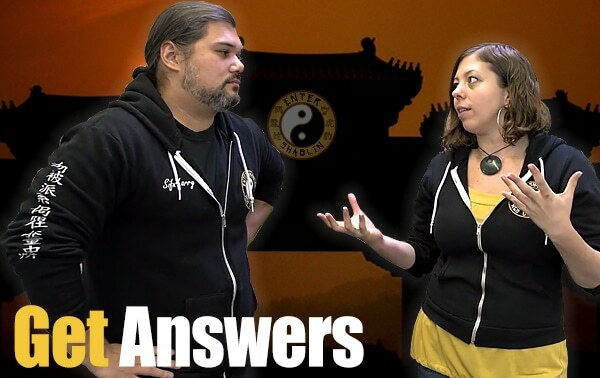 This means they aren’t 100% dedicated to running an online Kung Fu school. 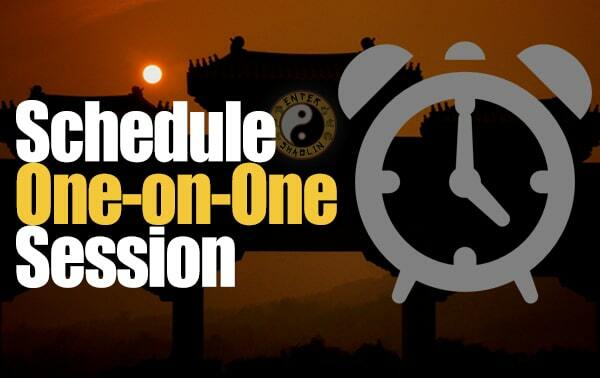 Here at Enter Shaolin, Sifu Larry Rivera & Sije Jamie Pelaez work full-time for our members 5 days a week. We do take weekends off, but we still address any technical issues that should come up during the weekend and often work overtime just to keep things running smoothly for you. You can reach us via email, phone (1-844-9-KUNGFU), our community chat, video or mail (Enter Shaolin, P.O. Box 1162, Hammonton, NJ 08037) in other words we aren’t hiding from you. We make ourselves available to our members as much as we can, we’ve even been told that we’ve given people more attention the what they received in a local school! 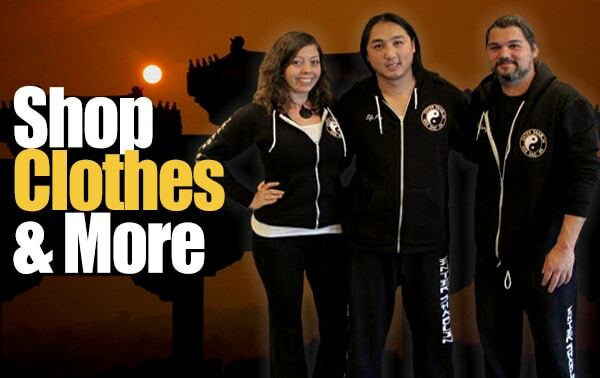 We want to help create your martial art success story. 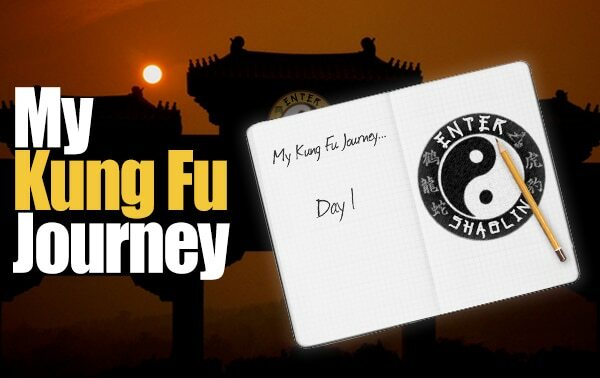 If you haven’t already joined Enter Shaolin, and are ready to take your Kung Fu journey to the next level, check out what we have to offer you here. For years I was apprehensive about joining an online school. Then I found Enter Tai chi on YouTube. Watched every single video they put out and decided this is for me. I signed up initially as a lite memeber. After a few weeks I decided to become a lifetime Abbot member from how much I have learned and how I was treated as a member of the family. I can actually say that every member I have met has called me brother and had showed nothing but love for the martial arts as well as the person doing them. So thank you to everyone member of Enter Shaolin for being who you are and for teaching all that you know. Jamie brought up a very good point. If you can back away, do so. Then, if they pursue by moving toward you, it may help to prove that they are the aggressor. Of course, how you choose to act is up to you. Just be aware. Here is another thing to consider concerning the subject of being forced to throw the first punch. If someone is confronting you, be ready to act if they should start to move a hand behind themselves. They may be reaching for a weapon. While no one wants to throw the first punch, you need to ask yourself why would anyone want to put their hand behind them if they are about to be in a fight? Some would advocate hitting them as soon as they make this movement because if you wait until you can see the weapon it may be too late. Weapon attacks can happen extremely quickly and are very damaging. I’ve been a member for over a year now. Searching for someone who knows what their talking about is very hard. I browsed YouTube for months until I stumbled upon Enter Shaolin. After watching a few videos and going to the website I signed up as a Junior member. When I was 3/4 of the way finished NDN 101 I became a Abbot member. I went to the Baltimore seminar and really learned a lot. I’m here to stay at Enter Shaolin. Sufu Phu and Sifu Larry are really good at explaining and showing your proper mechanics Thanks to Sije Jamie for all the communication and guidance, Thank you Enter Shaolin. Looking forward to the next seminar! As I watched the 3 tips to never losing a fight, I agree a 100% on what was shared. The bicycle punch was what taught me to relax when punching until the point of contact. The way it came was when another school was visiting and their Sifu had us lined up and doing drills and told us to throw 1,000 punches. At that time I had been throwing punches from styles that the teacher never mentioned to relax until contact. Needless to say after about 300 punches with resistance of my own that was more than enough. The number of punches wasn’t the key, proper technique and training was. Doing it right relaxed first and adding speed is extremely important, because relaxation can increase speed, and speed will increase power and conserve energy. By the way when done relaxed the only question is how many more than 1,000 do you want.